In a white paper “Micro-learning as a challenge for instructional design” Michael Kerres has pointed out that several online course designers follow temporal dramaturgies design points. For example: a large number of traditional online courses have beginning, subject matter description and a few exercises at an ending. Prof. Michael also says that the lesson dramaturgies are not there in bite-sized learning modules and they directly convey the information. E-learning courses are normally long (say 30 minutes or more). It allows instructional designers to address many learning objectives. But, this is not in case of bite-sized or micro-learning lessons. A bite-sized modules are effective when it address only one learning objective as these modules are not more than 15 minutes. 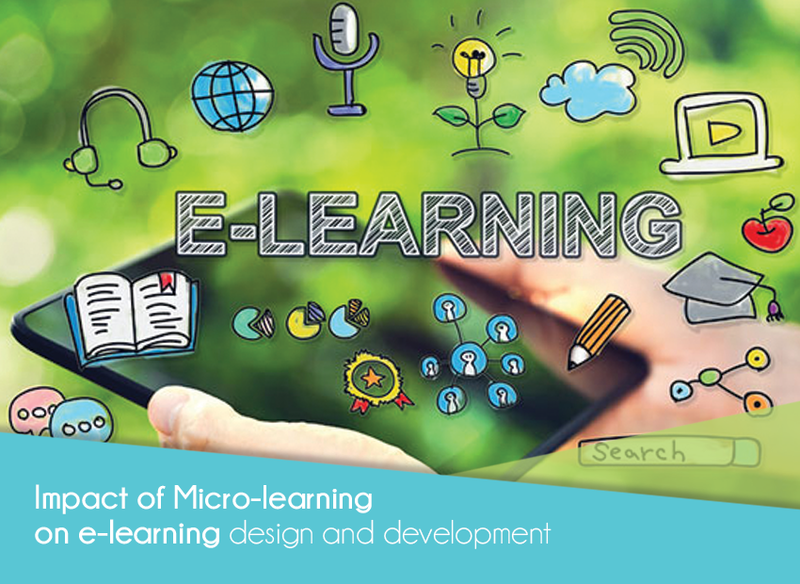 Micro-learning modules helps the instructional designers to make their learning more personal. As the learning courses are divided into small parts, learners can decide which part they want to go through and which part they want to skip. The results are better and individualized learning. For example, a pharmaceutical company employee may skip the other modules and go through only those modules which explains the consequences of non-adherence. Bite-sized modules can be used to create the online curricula. For example, micro-learning modules on different aspects of health and safety can be blended to develop a safety training curriculum. Likewise, the micro-learning modules can be used in multiple online courses. For instance, a short online learning course that explains about the Good Manufacturing basis. People have started using more bite-sized videos for learning. Due to this many instructional designers, use more videos in their online courses. Many studies have shown that videos convey the intended message in a very effective manner. Also, it is easy to create videos. You can shoot a videos in few seconds by making use of your mobile device. Bite-sized courses have changed the way of presenting the learning content. Now, the instructional designers can address only 1 learning objective in the module. Micro-learning has increased the use of the videos in an online course. These videos can be reused and re-purposed to suit the training requirements.